Objective To determine the impact of interpreters and bilingual physicians on emergency department (ED) resource utilization. Design Cohorts defined by language concordance and interpreter use were prospectively studied preceding and following the availability of dedicated, professional medical interpreters. Setting Pediatric ED in Chicago, Ill. Participants We examined 4146 visits of children (aged 2 months to 10 years) with a presenting temperature of 38.5°C or higher or a complaint of vomiting or diarrhea; 550 families did not speak English. In 170 cases, the treating physician was bilingual. In 239, a professional interpreter was used. In the remaining 141, a professional medical interpreter was unavailable. Main Outcome Measures Incidence and costs of diagnostic testing, admission rate, use of intravenous hydration, and length of ED visit. Results Regression models incorporated clinical and demographic factors. Compared with the English-speaking cohort, non–English-speaking cases with bilingual physicians had similar rates of resource utilization. Cases with an interpreter showed no difference in test costs, were least likely to be tested (odds ratio [OR], 0.73; 95% confidence interval [CI], 0.56-0.97), more likely to be admitted (OR, 1.7; 95% CI, 1.1-2.8), and no more likely to receive intravenous fluids, but had longer lengths of visit (+16 minutes; 95% CI, 6.2-26 minutes). The barrier cohort without a professional interpreter had a higher incidence (OR, 1.5; 95% CI, 1.04-2.2) and cost (+$5.78; 95% CI, $0.24-$11.21) for testing and was most likely to be admitted (OR, 2.6; 95% CI, 1.4-4.5) and to receive intravenous hydration (OR, 2.2; 95% CI, 1.2-4.3), but showed no difference in length of visit. Conclusion Decision making was most cautious and expensive when non–English-speaking cases were treated in the absence of a bilingual physician or professional interpreter. LANGUAGE BARRIERS between physicians and patients are impediments to the provision of medical care.1 Studies have demonstrated measurable decreases in quality2,3 and access4-6 due to such obstacles. Effects on satisfaction,7-9 compliance with follow-up,10,11 and even disease severity12 have been observed. Efforts to reduce these barriers seem intuitively justifiable and, in many cases, are legally mandated.13 Yet the effect of language barriers on physicians' clinical approach and decision making has only recently been investigated,14-16 and their financial impact remains unknown. 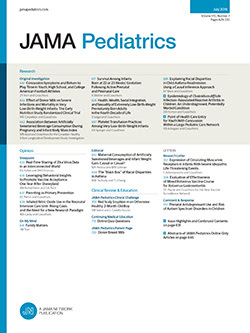 Our initial work suggested that family-physician language discordance adversely affects resource utilization in a pediatric emergency department (ED).14 Objective analysis is prerequisite to establishing the cost-effectiveness of ameliorative measures, such as the recruitment or training of bilingual physicians or the provision of professional interpretative services. By prospectively analyzing clinically similar cohorts of acute pediatric visits, we sought to determine whether these effects on resource utilization were altered by the presence of bilingual physicians and professional interpreters. Our investigation took place at a university-affiliated pediatric ED with an annual volume of approximately 40 000 patients. Data were collected over 2 periods (October 1, 1997, to May 1, 1998, and August 1, 1999, to February 15, 2000), during which dedicated, professional interpretative services became available full-time in the department. Study methods were identical in both periods. The effects of language barriers during the first period, independent of the presence of bilingual physicians or interpreters, have been described in our earlier report.14 Both periods of the study were approved by the hospital's Institutional Review Board. After an extensive recruitment and selection process, our Spanish interpreters (in both periods) underwent a minimum of 40 hours of training. In addition, they completed at least 4 hours of "shadowing" a previously trained interpreter. The direct cost to the hospital to provide these services was approximately $17/h per interpreter (including wages and benefits). These costs were borne by the institution as "family support services," and payers were not billed separately. In the winter of 1997 to 1998, in-house Spanish interpreters provided service to the department during regular daytime hours. This arrangement resulted in interpreter availability for 42% of our non–English-speaking population. In the winter of 1999 to 2000, dedicated ED interpreters (2.5 full-time positions) were available for 91% of these visits (services remained unavailable between 2 AM and 8:30 AM). A data form, attached to every patient chart at triage, required physicians to identify patients who met the following criteria: aged 2 months to 10 years, absence of chronic illness (defined as a history of immunosuppression or immunodeficiency, inborn error of metabolism, or ventriculoperitoneal shunt), and either a triage temperature of 38.5°C or higher or a complaint of vomiting or diarrhea. Physicians were also asked to assess the child's initial appearance ("well," "mildly ill," "moderately ill," or "toxic"). We asked the treating physicians, who were blind to our study hypothesis, to determine whether, in their estimation, the patient's family could speak English. To identify encounters in which the physician was proficient in the non–English-speaking family's language, providers were then asked, "If not, did this create a language barrier for you?" If a barrier existed, they were asked to indicate whether a professional interpreter had been available. If an interpreter was used, they were asked to specify during which portions of the visit the interpreter was present (triage, history/physical examination, and discharge). Each visit was categorized into 1 of 4 groups: (1) visits in which the physician thought the family could speak English well enough to give a medical history (English-speaking cohort); (2) visits in which the family could not speak English but the treating physician could speak the family's language (non–English-speaking/no barrier cohort); (3) visits in which the family could not speak English and a professional interpreter was employed for at least a portion of the visit (non–English-speaking/interpreter cohort); and (4) visits in which the family could not speak English, the physician could not speak their language, and no professional interpreter was available (non–English speaking/barrier cohort). This cohort also included all instances in which nonmedical, ad hoc interpreters were used. Following the visit, information was extracted from the records regarding demographics (recorded by registration personnel), resident level (postgraduate year of training), attending physicians, setting (main ED or on-site urgent care unit), initial vital signs, triage category, length of visit, laboratory and radiographic testing, and patient disposition (admission or discharge home). Data were entered in and analyzed with Statistical Product and Service Solutions software for Windows, version 10.0 (SPSS, Inc, Chicago, Ill). To isolate the effect of bilingual physicians and interpreter use on test costs and length of visit, estimated marginal means were derived from general linear regression models. For dichotomous variables (incidence of testing, use of intravenous fluids, and disposition), odds ratios (ORs) were derived from β coefficients in multiple logistic regression models. In addition to the 4 cohort classifications, each regression model included all other recorded independent variables believed to have a priori relevance: ethnicity, insurance status, patient age, vital signs, general appearance, resident training levels, attending physician, hour of presentation, and patient care setting. Length of visit models also contained triage status, incidence of testing, and disposition. Physicians completed study forms for a total of 4146 visits. Of these, 2467 (60%) occurred in the winter of 1997 to 1998, and 1679 (40%) occurred in the fall and winter of 1999 to 2000. During the 2 periods, 18 attending physicians or fellows, as well as numerous housestaff, participated. A total of 3344 patients (81%) were seen in the main ED, and 802 (19%) were triaged to the adjacent urgent care unit and treated by ED staff. Of the 4146 patients, 2156 (52%) were included solely because of a chief complaint of vomiting or diarrhea, and the remainder had a triage temperature of 38.5°C or higher. The most common reasons for inappropriate exclusion were failure of the clerical staff to attach a study form to the record and failure of the physician to complete the form. Daily inclusion rates of eligible patients ranged from 60% to 89%. A random review of the charts of 100 potentially eligible patients not included revealed no variation from the study cohorts in ethnicity (P = .81), insurance status (P = .72), triage status (P = .49), hour of presentation (P = .32), age (P = .84), or vital signs (P = .64). Physicians reported that 550 (13%) of the patients' families could not speak English. For 170 visits (4%), the physician was bilingual and the families' inability to speak English did not create a barrier (non–English-speaking/no barrier cohort). A barrier was present in the remaining 380 cases (9.2%). On 239 of those occasions, a professional interpreter was involved (non–English-speaking/interpreter cohort). In 90% of interpreter cases, the interpreter was present for the initial history and physical examination, and in 74% of cases, the interpreter was present at discharge. In 141 cases, a barrier existed, but no interpreter was available during the visit (non–English-speaking/barrier cohort). Barrier patients seen in the fall and winter of 1999 to 2000 were 2.2 times more likely to have used an interpreter (95% confidence interval, 1.9-2.5). Demographic and clinical characteristics of the cohorts are presented in Table 1. Non–English-speaking families were more likely to be classified as Hispanic by registration personnel than were English-speaking families (83% vs 50%). The 17% of non–English-speaking families not classified as Hispanic included those categorized as white, black, or other/not available. A small but unrecorded number of these families were monolingual Polish, Russian, or Vietnamese speakers. Non–English-speaking families were less likely to have commercial insurance (14% vs 32%) and more likely to have Medicaid coverage (72% vs 57%). On average, non–English-speaking patients were slightly younger than English-speaking patients (age, mean ± SD, 32 ± 28 months vs 34 ± 29 months). The 2 groups did not differ significantly on triage vital signs or proportion of patients described as "moderately ill" or "toxic." Management of the cohorts is compared in Table 2. Some of the variation in total mean costs of testing was due to the variation in the incidence of testing. Incidence of testing varied most for the following: complete blood count, blood culture, chest radiograph, serum electrolytes, and urine testing. Of patients receiving at least 1 test, the mean costs for the English-speaking, non–English-speaking/no barrier, non–English-speaking/barrier, and non–English-speaking/interpreter cohorts were $31.45, $34.18, $36.52, and $43.37, respectively. Table 3 compares treatment of each of the 3 cohorts of non–English-speaking families with the English-speaking cohort. Using the previously described regression models, results were adjusted for variations in age, vital signs, initial appearance, ethnicity, insurance status, patient care setting, hour of presentation, attending physician, and resident training levels. Length of visit was also adjusted for triage status and testing and admission rates. In our previous article, we suggested that physician-family language barriers may increase resource utilization, a result we termed the language barrier "premium. "14 Waxman and Levitt16 noted a similar effect among adult patients in a general public hospital ED. Yet neither study explored the impact of physicians' bilingual capabilities or professional medical interpreters on this premium. When conducting our earlier study, we did record interpreter and bilingual physician status. However, in our analysis, we simply categorized visits as "language barrier" or "no language barrier," regardless of whether a professional interpreter was used ("language barrier") or the treating physician was bilingual ("no language barrier"). Since that study took place, professional interpreters have now been made available after-hours in our ED. This allowed us to repeat our methods and combine our newly collected data with that which had been collected previously. In our current study, we have been able to stratify our results by interpreter and bilingual physician status with enough statistical power to draw conclusions about the effects of these modalities on resource utilization for non–English-speaking families. As expected, the management of non–English-speaking cases by bilingual physicians was similar to that of the English-speaking cohort. However, when a barrier was present and a professional interpreter was unavailable, physicians performed more extensive evaluations (more frequent and more expensive diagnostic testing) and treated children more conservatively (more intravenous hydration and more frequent hospital admission). When a professional interpreter was used, no difference in the incidence or cost of testing or use of intravenous hydration was detected (although admission rates remained slightly higher). Both bilingual physicians and interpreters appear to mitigate the barrier premium. The ways that professional medical interpreters can improve physician-patient communication and increase patient satisfaction have been previously described.7,8,21,22 There is also evidence that interpreter services can improve access to preventive services for adults.23 Most encouraging about our findings, however, are the beneficial effects interpreters had on physician assessment and treatment decisions. A decrease in resource utilization does not necessarily indicate an increase in efficiency. However, the fact that presence of an interpreter was associated with utilization similar to that in the English-speaking population does not suggest a compromise in quality. It appears that interpreters improved communication and increased physician assurance to a degree that approximated cases in which no barrier existed. We limited the interpreter cohort to those cases in which a professional medical interpreter was involved. A variety of ad hoc interpreters (family acquaintances, clerical staff, individuals in the waiting room, etc) were included in the non–English-speaking/barrier cohort. Thus, a complete barrier was rarely present. Although the limitations of such forms of medical interpretation are well described,24-26 these individuals probably lessened the observed language barrier premium. However, the wide range of proficiency and the heterogeneity of these ad hoc interpreters made it impossible to more precisely analyze this cohort. Despite their positive effect on decision making, interpreters did prolong the visit. Although we included hour of presentation in our regression models, almost certainly, some of the difference observed was due to waiting times caused by the workload on individual interpreters in our ED. Interestingly, in other settings, investigators have not noted such an effect.16,27 When assessing the net cost effect of interpreters at a particular institution, the potential variable costs associated with these few extra minutes in the department must be weighed against the other decreases in resource utilization observed. We made no attempt to standardize or quantify the English proficiency of our families. We relied instead on a prospective, but necessarily informal, determination made by the treating physician (an approach used in previously published studies14,16). Thus, our "non–English speaking" cases were likely a heterogeneous group with a range of English-speaking capabilities. We recognize that some providers may have overestimated their own Spanish proficiency or misjudged the actual proficiency of the families. However, our main outcomes were measures of physician decision making; therefore, the providers' perception of English proficiency was a key independent variable used to stratify our data. By using ages, vital signs, and chief complaints and excluding potentially complicated patients with chronic illness, we attempted to identify comparable cohorts of patients. It is safe to assume that our 3 non–English-speaking cohorts were demographically similar (ie, the availability of interpreters and bilingual physicians varied independently from the determination of English proficiency). Although we noted insurance status and ethnicity, unmeasured demographic differences between those 3 non–English-speaking cohorts and our general English-speaking population were potential confounders. However, it is unlikely that important unmeasured confounders existed across the 3 non–English-speaking cohorts. Therefore, such biases, if present, would not invalidate the relative differences we observed amongst these non–English-speaking cohorts. Providers may have altered their classification of language concordance and use of interpreters based on subtle indicators of complexity and acuity or the availability of interpreters. Thus, both the English-speaking and non–English-speaking/no barrier cohorts may have contained a disproportionate number of uncomplicated or easily diagnosed cases. Yet, with respect to the non–English-speaking/barrier and interpreter cohorts, such an effect would have biased toward the null (ie, one would expect an interpreter to be employed for the most complex cases). That there was no cost difference detected between the English-speaking and interpreter groups suggests that any such bias was small. Our race/ethnicity classifications were based on categories routinely recorded by our registration personnel at the time of the study. Of course, these classifications are not mutually exclusive; one can be both "black" and "Hispanic." Allowing families to report their own ethnic identity would have been preferable. We suspect that the category "Hispanic" was probably underrecorded in our English-speaking cohort and relatively overrepresented in our non–English-speaking cohorts. Thus, it is likely that our cohorts were more ethnically similar than Table 1 suggests. Nevertheless, because our outcomes of interest were based on provider perceptions, we felt it appropriate to retain these classifications in our regression analysis. Again, such misclassifications should have biased our results toward the null. With the exception of our length of visit analysis, we excluded nursing triage classifications from our regression models. Though such assessments are certainly correlated with acuity, we had reason to suspect that these determinations do not vary independently from our key variable, language concordance. The triage process includes historical elements which might be influenced by the uncertainty of language discordance. Our earlier work suggested a systematic "up-triaging" of low-urgency patients with a language barrier.14 In the current study, we substituted the physicians' descriptions of the patients' initial physical appearance, which were made separately from historical information. A larger number of patients in the non–English-speaking/barrier cohort would have allowed us to make more statistically powerful, direct comparisons with a larger interpreter cohort. However, during the 2 years encompassed in our study, our institution took action to limit the incidence of such encounters by making interpreters more available. Any study design intentionally denying interpreters to families for whom the physician felt there was a barrier (eg, via randomization) would be unacceptable. Respecting these ethical considerations, we found that comparisons of each of the non–English-speaking cohorts to our large, general English-speaking population were a way to gain valid insights into our research objectives. Because the volume of language-discordant patients varies by locality, the cost-effectiveness of remedies such as interpreters, recruitment of bilingual health care providers, or medical foreign language courses is necessarily institution-specific. However, our findings have, at minimum, established an additional financial cost associated with caring for pediatric patients with uncomplicated, acute conditions when a language barrier is present. Both professional interpreters and bilingual providers seem to reduce this cost. When these strictly financial results are combined with previously described effects on quality, the case for language-concordant, culturally sensitive outpatient care becomes stronger. Accepted for publication June 13, 2002. This study was supported in part by a Special Projects Grant from the Ambulatory Pediatric Association, McLean, Va.
We thank the housestaff and the entire ED staff of Children's Memorial Hospital, Chicago, for their assistance in implementing this study. We also thank Steven Krug, MD, and Helen Binns, MD, MPH, for comments regarding the study design and Marion Sills, MD, MPH, for a helpful review of the manuscript. Corresponding author: Louis Hampers, MD, Children's Hospital, Pediatric Emergency Medicine, Box B251, 1056 E 19th Ave, Denver, CO 80218 (e-mail: hampers.lou@tchden.org). Although physician-patient language barriers are believed to compromise the quality of medical care, few studies have described their effects on physician decision making and resource utilization. Qualitative studies suggest that professional interpreters and bilingual physicians improve communication, yet a direct, financial benefit has never been demonstrated. In an acute pediatric ambulatory setting, this study affirmed the presence of a "language-barrier premium," ie, more conservative medical decision making and increased resource utilization associated with physician-family language discordance. Both professional medical interpreters and bilingual physicians appear to mitigate this premium.